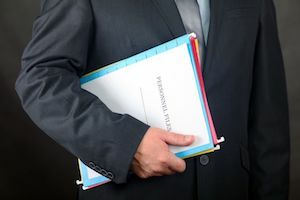 One would normally assume a dismissal is a good thing, especially relating to criminal charges. That may or may not be the case in Raleigh, depending on the type of criminal allegations and stage at which the charges are within the system. Under the Criminal Procedure Act in North Carolina, there are certain rules and protocols for the disposition of criminal matters. In presenting charges for prosecution, we are all protected under something called Due Process and Equal Protection of the Laws. Those are constitutional precepts intended to ensure that everyone is treated the same under the law. And while they’re meant to confirm the fair, even application of the law, the processes by which that is done can be incredibility complicated. One of the protections afforded under both the Constitution of North Carolina and the United States is referred to as Probable Cause. Criminal matters cannot move forward in court without an independent finding of probable cause. Regarding felony charges, that’s important and often involves consideration of whether the accused is in jail or has been released from custody on bond. A dismissal to the Grand Jury may refer to a case being sent to a Wake County criminal Grand Jury to review the charges. Grand Juries meet in private. It is a highly secretive process. They review evidence presented about felony and misdemeanor charges and are given the responsibility to determine whether Probable Cause exists to such extent that it’s proper to move forward with the prosecution of a case. You generally have no legal or constitutional right to attend Grand Jury hearings. The contents of the materials presented to the Grand Jury are secret, as are the individual discussions during such review of evidence and even the membership/composition of the Grand Jury. A Grand Jury does not determine whether you are guilty or not guilty. It is not a final adjudication or entry of judgment. Instead, Grand Juries issue either a True Bill (True Bill of Indictment) or Not True Bill. That’s a somewhat complicated way of saying the Grand Jury either finds Probable Cause or that there are not reasonable grounds for the State to prosecute, therefore resulting in a Not True Bill. The State in North Carolina may dismiss criminal charges, understanding they may also later request the Grand Jury to review the matter. A dismissal to the grand jury often results in only a very temporary stay in the criminal proceedings. If you are in jail and unable to post a bond, such a dismissal of charges should be understood as temporary. You may be released from custody (assuming there aren’t other, unrelated criminal charges holding you), only to be re-arrested at such time as a True Bill of Indictment is issued. In the event you have secured your released from jail, your defense lawyer might not necessarily want the criminal charges to be dismissed to the Grand Jury. Instead, the preferred protocol is to Waive Probable Cause, thereby admitting the existence of Probable Cause, thus transferring the file to Superior Court. What does Waiver of Probable Cause Mean? First and foremost, it most certainly does NOT mean you’re taking responsibility for criminal charges. You are NOT pleading guilty. You are NOT admitting, at all, you’ve done anything wrong. 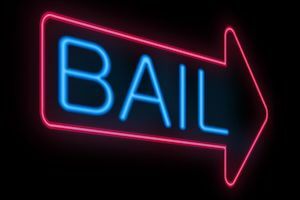 If your criminal defense lawyer has asked you to Waive Probable Cause, there likely is a very good reason for that: Your lawyer wants to avoid you getting re-arrested and being forced to again post bond. That is a regular occurrence for felony criminal charges in Raleigh, where the initial appearances are regularly handled in District Court. Most felony charges in North Carolina are disposed of in Superior Court. There are certain limited exceptions, especially regarding the entry of guilty pleas for certain low-level felony charges in District Court or entry into a Deferred Prosecution program. Waiver of Probable Cause in those circumstances simply removes the case from District Court, and by a procedural step, sends the case for further disposition in Superior Court. If you are released from custody and refuse to waive probable cause, in that instance it would not be unusual for the District Attorney (the ADA or prosecutor) to dismiss the charges to the Grand Jury. That may sound good to you, thinking, “Oh great, my charges are dismissed.” That’s technically true. Your charges are dismissed, that is until an Indictment is issued together with a WFA or Warrant for Arrest. That Warrant for Arrest will indicate a True Bill of Indictment has been returned, directing law enforcement to find you and take you to jail. If you have felony charges pending in Wake County, give us a ring. We’ll help explain the Indictment process, when a dismissal of charges is a good or bad thing, and help determine whether a Waiver of Probable cause makes sense. Call John Fanney now to discuss your criminal charges. He’s here to help.